On September 9th, with the passing of Dr. William Wesley McDonald, the American academy lost a talented teacher and defender of humane learning. The American conservative movement, or what remains of authentic conservatism, has also lost a strong advocate for restraint in social and political life. From a very early age, Wes came to the realization that politics, properly understood, was the pursuit of the good the true and beautiful; and, at this early juncture, Wes also appreciated the imperfectability of humankind, and the necessary limits of politics. As a great lover and sophisticated student of the limits of politics, Wes feared the inappropriate and increasingly commonplace aggrandizement of liberty by the modern state. He spent his life fighting the usurpation of fundamental liberties. Wes loved his native Maryland, and within our federal arrangement, he considered Maryland to be a southern state in many regards, often referring to the “old Maryland” as a model of political moderation and civility. Of course, as a realist, Wes derided the political class in power in Maryland during most of his lifetime, composed of career politicos and apparatchiks, whose guiding principles were antithetical to the inherited tradition Wes cherished. With some regularity, Wes would recollect the role of Maryland in the Founding and in the evolution of the regime, and pray that all was not lost if a recovery of principle could take place. Graduating from Baltimore’s Towson State University in 1968 with a degree in political science, Wes pursued graduate study in political science, earning a Masters of Arts in political science from Bowling Green State University in Bowling Green, Ohio, in 1969. He considered several options for graduate school before selecting The Catholic University of America in Washington, D.C. At Catholic, Wes studied with and wrote a dissertation under tutelage of the eminent conservative scholar, Dr. Claes G. Ryn. 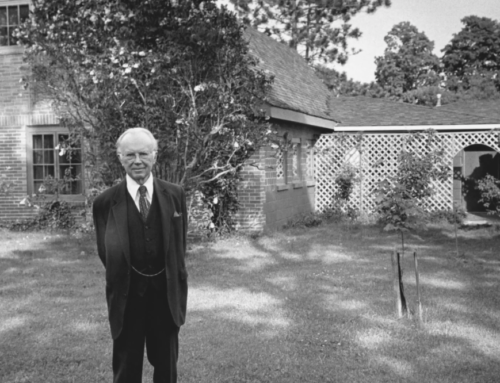 He successfully defended his dissertation, entitled “The Conservative Mind of Russell Kirk: ‘The Permanent Things’ in an Age of Ideology,” in 1982. The dissertation would eventually be revised into a book, and the tome would serve as his most important contribution to scholarship. No tribute to Wes would be appropriate without some stress upon his importance as a friend and mentor. I first encountered a mention of Wes on the last page of Kirk’s The Portable Conservative Reader (Viking Penguin, 1982), in a section entitled “A Note of Acknowledgment.” At the end of what is still the best single-volume collection of conservative thought available today, Kirk made the following comment: “Mr. Wesley McDonald spent months in close collaboration with me, choosing selections and finding accurate texts, and editing them.” This rather obscure reference introduced me to Wes, his work with Kirk, and Kirk’s willingness to take on research assistants who could benefit from studying with the Duke of Mecosta. Having spent the final years of my undergraduate years engrossed in Kirk’s writings, and reading the corpus of the Intercollegiate Review, I came to view Kirk as a beacon of light amidst my academic darkness. In 1983, I began my graduate studies at The Divinity School of Duke University. I was totally unprepared for what was to follow, and instead of reading the assigned texts, I turned to Kirk and Voegelin. During the semester, I also attended an Intercollegiate Studies Institute conference, and in the middle of a banquet event, I recognized Wes at an adjacent table from his picture in an I.S.I. speakers bureau booklet. I approached Wes, and he immediately encouraged me to write to Kirk, telling him of my plight, and Wes also urged me to ask Kirk if he could use a wayward research assistant. Thanks to the encouragement I received from Wes, my life was never the same. In fact, I am now one of the more aged individuals who were blessed with the opportunity to work and study with Kirk in Mecosta. The next year my old friend from my undergraduate years, Dr. Al Gilman, a mathematician qua political theorist, and an acquaintance of Kirk’s, created an academic entity at Western Carolina University entitled the Center for the Study of Cultural Decadence, following the insights of Joad and Kirk. Three decades later the center’s title and organizational focus appears a little quaint, as we now take such a high level of societal decadence for granted, and in some quarters we even celebrate decadence as the “new enlightenment.” Nevertheless, the center was a noble, yet short-lived pursuit, but not before Gilman held a national conference on the topic of decadence. Both Wes and I presented papers at the conference, and Wes’s contribution on Kirk was eventually published in the Hillsdale Review. Before the conference ended, Wes advised me to dedicate my year in Mecosta to spending as much time with Kirk and to read constantly! This was some of the best advice one could receive! After Mecosta, I returned to graduate school, and Wes quickly invited me to present a paper at the annual meeting of the Pennsylvania Political Science Association. In 1987, under the kind auspices of Wes, I presented my first professional paper, and this effort would become my first published article. For the remainder of his life, Wes and I remained friends and regular correspondents. Of much greater importance than my personal narrative, Wes’s “mission” as a popular faculty member and student mentor at Elizabethtown College defined his professional life. The devotion to teaching and mentoring students was Wes’s greatest gift–and his enduring legacy–and it is this academic witness that separated Wes from most of his colleagues. In some respects, members of the professoriate are the last nomads to be found in American today. Professors often make career moves to enhance their status or salary with reckless abandonment (and this writer is among the ranks of those who have followed such paths), and with the shrinking number of full-time academic positions, not to the mention the influence of the proprietary, on-line programs, the growth of institutional academic bureaucracies, and other threats to academic life, a professor with a lifelong commitment to an institution is hard to find. Wes was a most honorable exception. Wes taught at Elizabethtown College for nearly three and a half decades. He was beloved by students and his resiliency of purpose is a model for us all. He mentored countless students who would pursue graduate studies, legal studies, and become political practitioners of one variety or another. When Wes was a candidate for full professor a decade ago, he asked me to write a letter of recommendation on his behalf. He thought my status as an academic vice president, and my strong letter of support, would make his promotion a certainly. In my letter I simply asked the President and the Trustees of they could name a more loyal and devoted professor at their college? Wes was quickly promoted. Finally, any celebration of Wes’s life should praise the importance of his great study, Russell Kirk and the Age of Ideology, published by the University of Missouri Press in 2004. In essence, the book is a valuable survey of a leading (nay, seminal) thinker of the 20th century, although Kirk’s contribution has for the most part been neglected for ideological reasons and assessed by less perceptive scholars than Wes (There are exceptions, however; see Russello’s The Postmodern Imagination of Russell Kirk [Missouri, 2004], and Brad Birzer’s forthcoming study from the University of Kentucky Press.). Wes argued that Kirk was a political thinker, historian, historian of political ideas, journalist, and one who served in many other capacities. Kirk’s significance was not limited to the conservative movement. Wes was correct, and he teaches us a lesson that we should not easily forget. In the first chapter of his work, entitled “Kirk and the Rebirth of American Conservatism,” Wes provided an excellent survey of Kirk’s plea for the return to traditional concepts of political order and power. The description of Kirk’s education experiences was alluring, and at my insistence, he included Kirk’s private reading as an undergraduate at Michigan State, where he was engrossed in Donald Davidson’s Attack on Leviathan; and the influence of his two mentors at Duke, Jay Hubbell (English) and Charles Sydnor (History). Additionally, Wes’s inclusion of Kirk’s own commentary as contained in his Sword of Imagination made this an exemplary introduction to Kirk’s early intellectual life. The next two chapters are central to his book. Wes thoughtfully conveys Kirk’s defense of the moral basis of social and political life, and the appropriate role of rights and natural law. Wes depended heavily on Irving Babbitt to explain Kirk, and the effort to distinguish Kirk explicitly from the Christian tradition of natural law thinking evoked some criticism. While Wes may have overemphasized Babbitt’s influence and the insights of the New Humanists (and their contemporary disciples), he was still prescient in his understanding of Kirk’s worldview. He was also correct to suggest the important role of literature and humane letters upon Kirk. For example, Wes’s analysis of Kirk’s Enemies volume is wonderful and this contribution alone will encourage a new generation of readers to encounter this tome. Wes’s chapters (four and five) on Kirk’s contributions to political theory scholarship are the best assessment of Kirk’s political thought every written. Chapter six delineates the centrality of community to Kirk’s thought, and is presented with great accuracy and clarity. Wes’s stress on the role assumed by self-restraint makes the chapter an important contribution to Kirk scholarship. 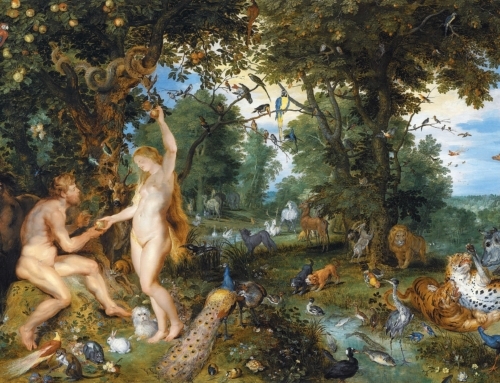 Kirk believed that humankind’s primary obligation lies in his or her community. Self-discipline and love of neighbor begin with the individual, and spread to the community, and then to society as a whole. In other words, Kirk’s concept of community serves to define the limitations of society and politics on hand, while on the other it presupposes and defends the necessity of a properly constituted community for securing the moral and ethical results concomitant to society’s perpetuation. 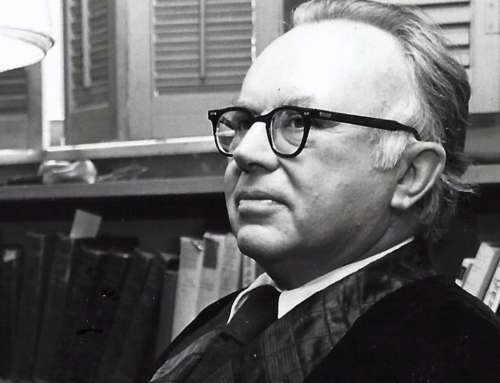 There remain among us many who knew and loved Russell Kirk, but very few of us who have devoted our lives to the exegesis of his boundless wisdom for the rising generation. With the departing of Wes for the Heavenly Banquet, we defenders of the “permanent things” should remember one of the finest comrades and gentlemen to have come our way. A great loss to learning, but an uncommonly splendid obituary in both form and content. Thank you. Thank you, Lee. A fitting tribute to a good and kind man and one of the real conservatives. I had the pleasure of serving as a Wilbur Fellow at Piety Hill while Wes was working on his dissertation there. I was 19. 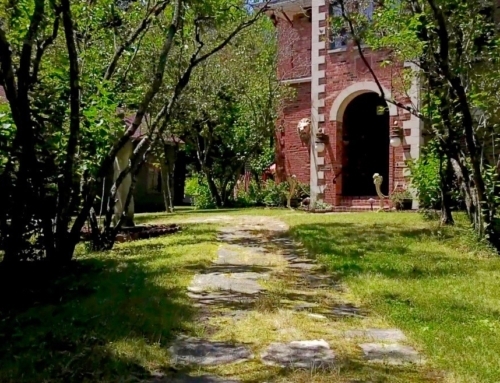 My time at the last homely house profoundly shaped the course of all that has followed in the 35 years since. I am one of those who knew and loved RK. Dr. Cheek is right about the value of Wes’s work in making that accessible to many. I mourn his death. He was a champion of the permanent things and I salute his memory. Yes, thank you, Dr. Cheek. It is melancholy but hopeful news on a gray and rainy day here in northern Vermont. I never had the pleasure of meeting Prof. McDonald face to face, but I did review Russell Kirk and the Age of Ideology for a now-defunct publication when I was fresh out of graduate school. After the review appeared in print, he emailed me to let me know how much he appreciated it. Of all the reviews he had seen to that point, he wrote, mine was the only one that had accurately summarized his arguments. You can imagine the impression that message made (for multiple reasons) on a young scholar.